Reliance Industries Ltd (RIL)'s latest offering Jio has created a stir in the market given its promise of free voice calls and superfast 4G speed at the lowest tariffs in the industry. While a lot has been said about the service and the plans it offers, there is still a lot of confusion about its WiFi offering and whether calls will actually be free on the platform. How do I get a Reliance Jio sim? Which stores offer the sim? You have to visit your nearest Reliance Digital or Reliance Digital Xpress mini store to get your hands on a Jio sim card. Since its launch, the company has also made SIMs available at stores that sell mobile phones or SIMs of other mobile operators. But you may face a long waiting queue, as the demand reportedly far exceeds the number of Jio SIMs being supplied. To manage the rush, some stores are following a token system. You will, of course, require standard Know-Your-Customer (KYC) documents that include a photo-ID card, address proof and passport size photographs. How is Jio different from existing networks in India? Unlike other operators, who graduated from being 2G service providers to 3G and then 4G, Jio is a 4G ready network, which, RIL says, can be easily upgraded to 5G and 6G, when such services are rolled out in the country. Also, Jio is an IP-based 4G network, while the other incumbents such as Airtel, Vodafone, Idea and the government-owned BSNL and MTNL run on what is called a Circuit Switched Fall Back (CSFB) network. Simply put, all communication over Jio, voice and non-voice, will effectively be data based. Jio runs on a fiber backbone, which RIL says, is already the largest in India. What kind of mobile handset do I need to access Jio? Since Jio is a 4G enabled network, it will work best on handsets that are Voice-over-LTE (VoLTE) enabled devices. Along with its own Lyf brand of phones that it has introduced, Reliance has released a complete list of VoLTE phones manufactured by as many as 26 phone makers that will work with the Jio SIM. Are Jio tariffs really cheaper than those being offered by other telecom players? Now, this is complicated. Without going into too many details, it can be safely said that the tariffs are competitive, and not very much cheaper, at least on lower plans. Having said that, the lure of free voice calling and significantly faster speeds should lure potential customers away from existing operators. However, some analysts say that once its free period offer ends on 31 December this year, Jio could either extend the same or further slash prices. If that happens, it could be potentially very disruptive for other incumbents. What are the interconnection issues? Why aren't other telecom companies allowing interconnection to Jio? Jio customers have been facing call drops while calling subscribers of other networks. The incumbent operators have been denying interconnection to Jio saying that they cannot handle the deluge of data that the new network brings their way. Interconnect points are crucial to the new 4G enabled network, whose subscribers will otherwise not be able to make voice calls to subscribers of their networks. The Telecom Regulatory Authority of India has now stepped in, but the issue has not been resolved yet. 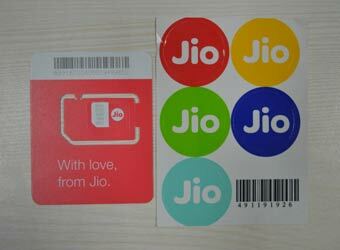 What are the apps you get with the Reliance Jio SIM card? Jio is banking on its app and content ecosystem. A Jio user gets access to various apps including JioTV, JioCinema, JioMusic, JioMags, JioXpressNews, JioDrive etc. The Jio app subscription will remain free until December, 2017 for Jio customers. Subscribers are being promised video, live TV channels, music, premium magazine subscriptions etc. How many customers is Reliance Jio targeting? On 1 September, Mukesh Ambani said that Jio had a target of enrolling 100 million customers in the shortest possible time. Some news reports suggest that the company is looking to enroll 1 million subscribers a day, which, by any account, is a steep target. The targets notwithstanding, Jio is likely to wean several millions of subscribers away from the existing telecom companies.